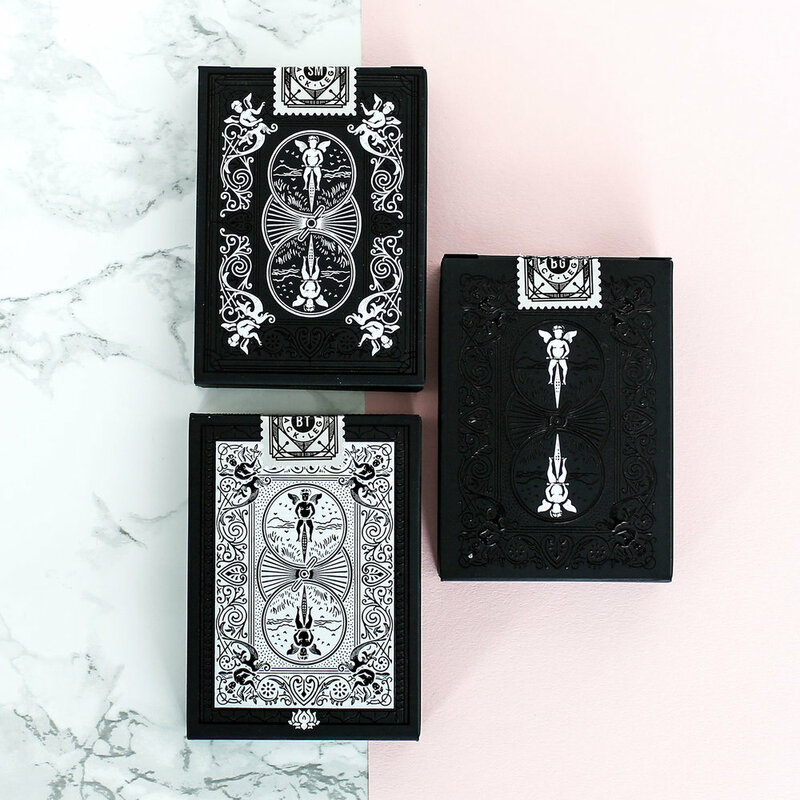 A redesign of Ellusionist's classic and iconic black decks. Black Ghost. Shadow Masters. Black Tiger. These seminal decks changed the industry when Ellusionist released them. Black Tigers were the first custom deck the United States Playing Card Company had ever produced. In these updated designs Oban built on the strong history of the collections classic design. 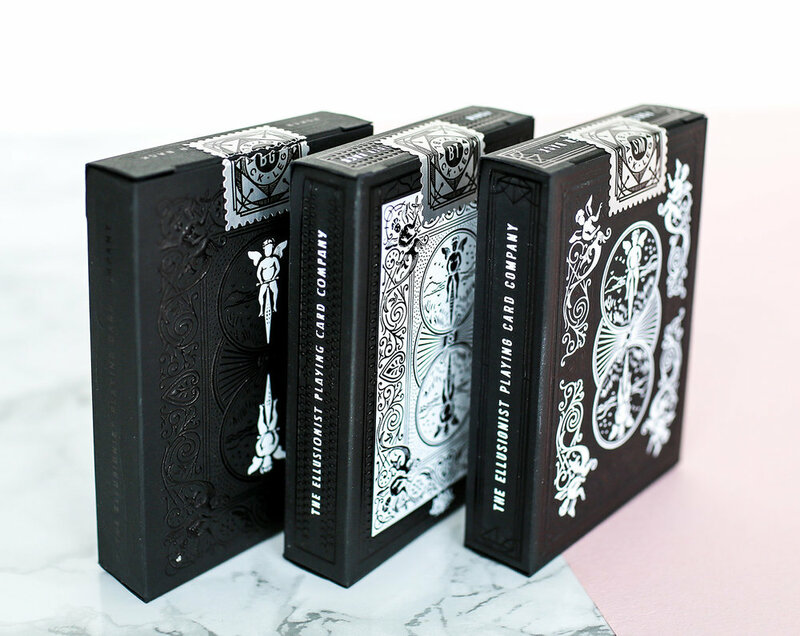 The black and white foiling with embossing is mirrored in the design of the signature collection box. A white edition of the Ghost Legacy deck was created to accompany the collection.